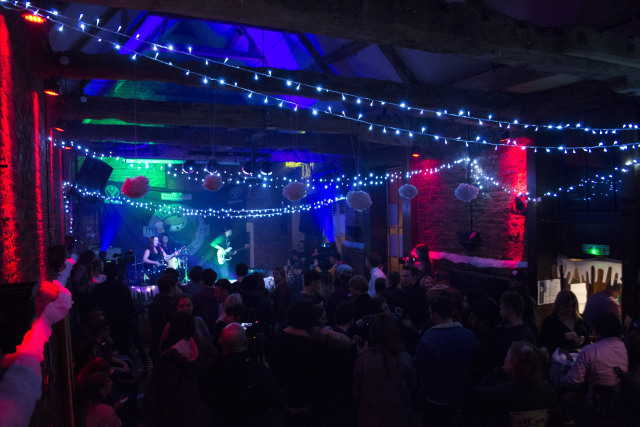 Students from the University of Gloucestershire have held a Christmas party event at a music venue in Cheltenham. 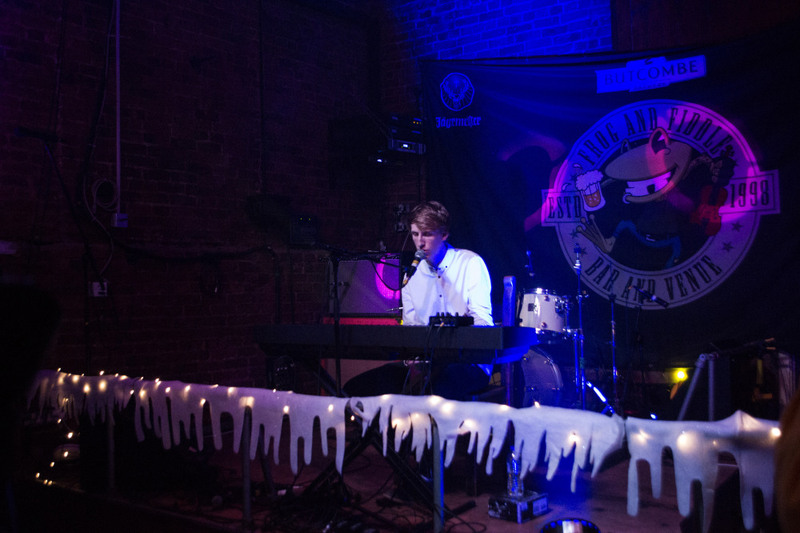 Made to Measure, the production company run by the university’s Media students, held the event at Frog and Fiddle on Thursday to showcase music acts who will be performing in Prague this January. Tor Baskett, who organised the event, said that everybody had come together as a team to make the night work. There were several live music acts at the event, as well as a raffle, Santa’s grotto, and thematic shots. The event was also being covered by the university’s radio station, Tone. “It’s very festive, I’m really enjoying it,” said Ryan Paxford, a member of Tone. The event drew in dozens of students and locals celebrating the holidays. Be the first to comment on "Christmas Party held at Cheltenham Pub"